Bed Bath & Beyond had a vision to make an environmental impact in their community. 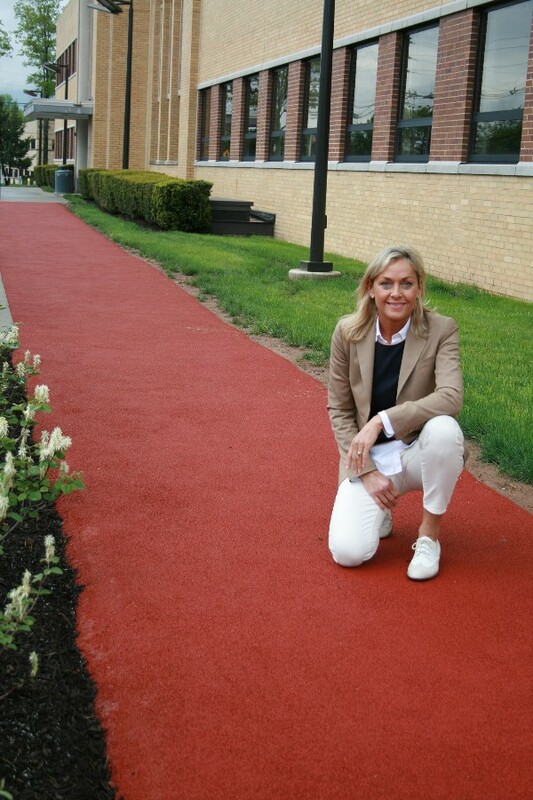 The company's forward thinking leadership led them to discover Rubberway as an alternative to standard concrete for sidewalks and walking paths at their corporate headquarters. Corporate social responsibility and environmental sustainability are important issues in our time and leading corporations strive to find innovative ways to reduce their environmental impact while also attracting and retaining employees. The Rubberway sidewalk and pavement systems not only enhance the surrounding landscape by providing an excellent recreational surface for the staff, but also meets state flood zone and storm water requirements. The sidewalk system extends throughout the Bed Bath & Beyonds corporate campus and features outdoor exercise stations along the way. This system promotes employee health and productivity and is a great way to enhance the workplace environment while also promoting sustainability. This environmentally friendly paving option creates a safe, flexible surface for walking and jogging while diverting nearly 200,000 pounds of passenger tire rubber from landfills, equivalent to diverting 16,500 tires from local landfills. Rubberway Sidewalk is a two layer systems designed to replicate cementwhile Rubberway Pervious Pavement is a single layer system designed to replicate asphalt. Both systems utilize recycled tires and are specified as porous to improve drainage and assist with storm water management and root heave from trees.